Often portrayed as an ugly-evil looking old woman with jet black hair, petulant, big nose completed with a big wart, whose only transport is a broom. And no, I’m not talking about your mother in law as this s a typical description of a witch, often used in stories. 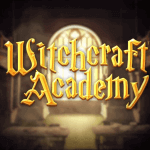 Net Entertainment though, doesn’t go along with these prejudices, en rather sees the witches without the ugliness, the reason why the villain became the goodness itself in Wild Witches, definitely an improved version. That she still wears a pointed hat riding her broom, the designers at Net Entertainment can look through, as long as she wears a spicy dress with it and is better tempered than we are used to. This is also why Wild Witches doesn’t look like you would expect it to when having a title like that. May the witches in Wild Witches look much friendlier than for example the villain from Hansel and Gretel, they are still witches, very good in brewing potions. The charms of these witches may harm you, though when the witches like you, you don’t have anything to be afraid of. The witches will use the good magic and winnings will flow in. Designed for those who are into magic and the world of witches and potions, Wild Witches is definitely recommended. With exotic witches and their colourful friends, potions and of course the the stew pot, Wild Witches is a game that is sure to cast a fun-packed, spell-binding time for all type of players. The best available in Wild Witches offer you plenty of opportunities, partly due to the 20 bet lines which can be activated separately, although I usually recommend to activate them all. The reason why is because more winnings will be generated when all bet lines are activated. Besides that playing a video slot becomes more dynamic when all bet lines are active. But that’s not all, because the game also has four different bet levels, invented to increase your chances to win, while the coin values on the other hand increase your winnings. There are seven coin values available, making the amount of betting options endless. With betting options between 0.01 and 80.00, Wild Witches is perfect for all type of players. Looking at the name of this Netent Casino video slot, I don’t think it’s a surprise the Wild is playing a leading role in Wild Witches. Although actually Wild features, because this game offers you two different Wilds, under which of course a regular Wild. And just as always this Wild will be responsible for extra winnings because it substitutes for any other symbol, except Scatter symbols. All winnings generated because of this Wild symbols will be doubled thanks to a x2 Multiplier attached to this Wild. But if this regular Wild is already this much promising, what about the extra Wild feature? Well that one even goes a bit further, although this Golden Wild only appears on the middle reel. When it appears, it also substitutes for any other symbol in this game, except for the regular Wild symbol and Scatter. But instead of a x2 Multiplier, the Golden Wild offers a x4 Multiplier. 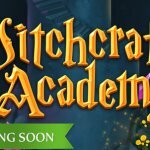 Luckily there’s still a lot to write about, even after I’ve already described two very worthy features as I haven’t told you anything about the Free Spins feature yet. 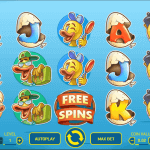 This is because I saved the best for last as there are just a few video slots designed by Net Entertainment, that don’t offer a Free Spins feature. Fisticuffs is one of them, just as Starburst, both offering you re-spins instead. This last game totally proves a video slots doesn’t have to be packed with features, as Starburst is the most played video slot around. 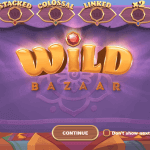 Even though Free Spins aren’t necessary for a video slot to become successful, Wild Witches does offer you one anyway, activated when three or more Scatters appear anywhere on the reels. Also are these same Scatters responsible for ice Scatter wins. Two of them will double your total bet, while five of them will multiply your total bet with 500(!). 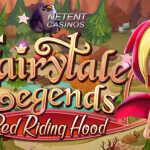 Free Spins are only available with three or more Scatters as 10 Free Spins will be activated. This number of spins increases with 10 for each additional Scatter, and therefore five Scatters will deliver 30 Free Spins. I have to admit the witches are quite generous and I suspect these enchanted ladies probably sniffed a bit too much of their potions their selves. Why so suspicious? Well that’s what you get when you find out that additionally to the many Free Spins, winnings will also be multiplied by three. 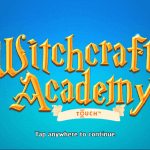 This totally makes Wild Witches a video slot you should try out at least once. Don’t be afraid, just very careful, because when you have a good look at the symbols, you will see that the magic doesn’t always goes as it should. And if afraid for failed magic anyway, you can always give Wild Turkey or Wild Rocket a try.